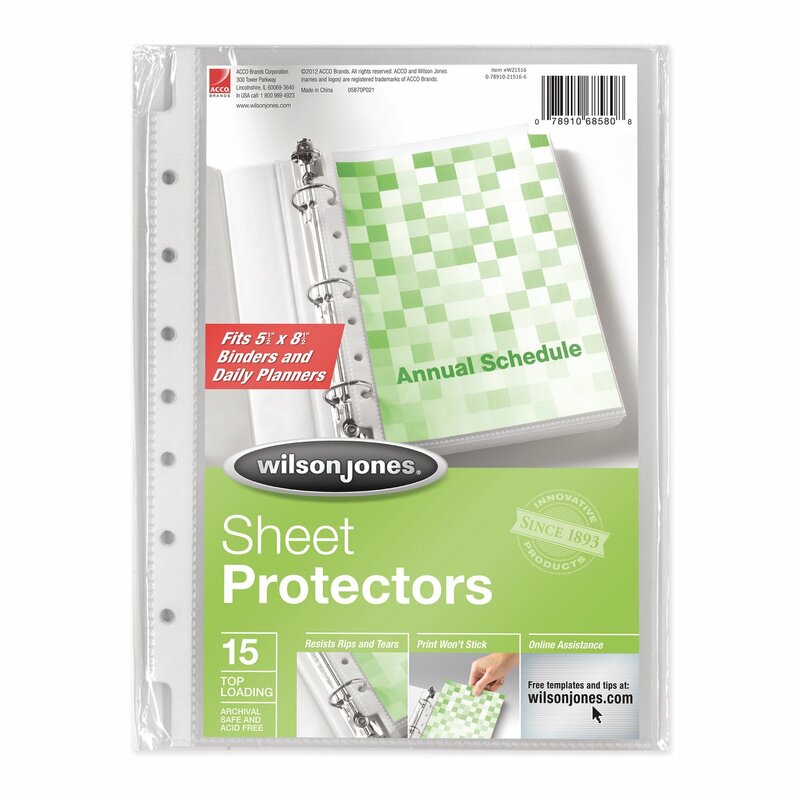 Specialty document sleeves protect your 5 1/2" x 8 1/2" papers from daily wear and tear, and inclement weather. 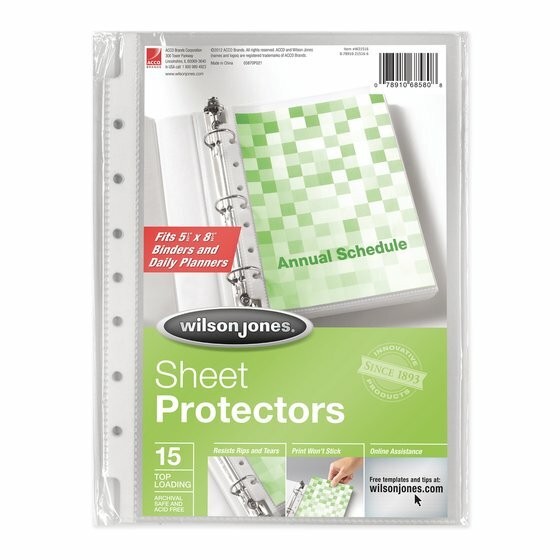 These sheet protectors are pre-punched to fit most mini binders and daily planners. 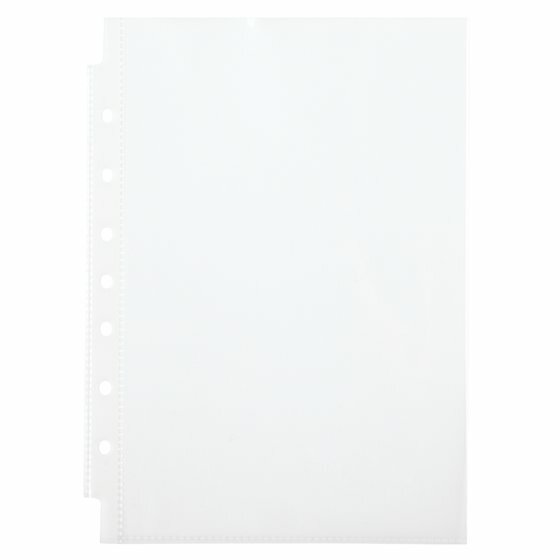 Sheet Size: 5" x 8 1/2"